PRELIMINARY: Three people were snowmobiling near Circleville Mountain in the Tushar Mountains. At the end of the day they parked under a bowl just north of the peak when they triggered an avalanche on the east facing part of the bowl. Rider 1 was further east and was not caught. Rider 2 attempted to ride east but was caught and fully buried (1-2 feet deep). He was 10-15 feet downhill of his snowmobile which was fully buried. Rider 3 was caught and partially buried. Only his fingers were sticking out of the snow. However, it was just enough for him to begin slowly dig himself out of the debris. He was 40 feet uphill of his snowmobile which was partially buried. None had avalanche rescue gear. Riders 1 and 3 searched for about 30 minutes but could not find rider 2. They called 911 at 5 p.m. Some Search and Rescue (SAR) members approached the area that night but could not safely enter the area due to darkness and avalanche hazard. 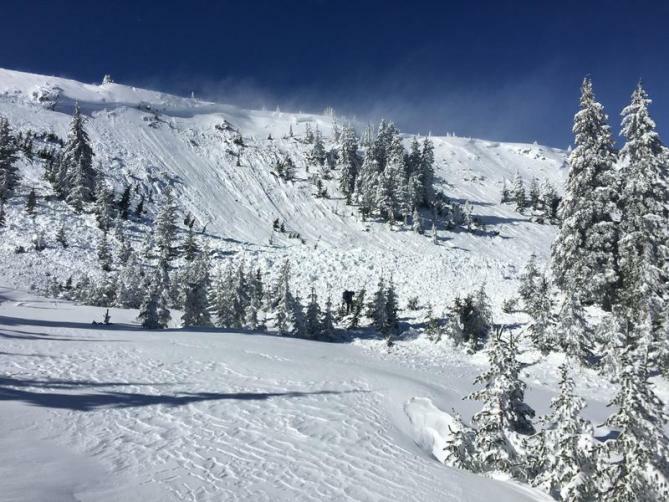 The search was suspended until the morning of Friday, February 8 when SAR personnel returned to the accident site and located the body of Rider 2 at 11:11 a.m. with an avalanche rescue dog.